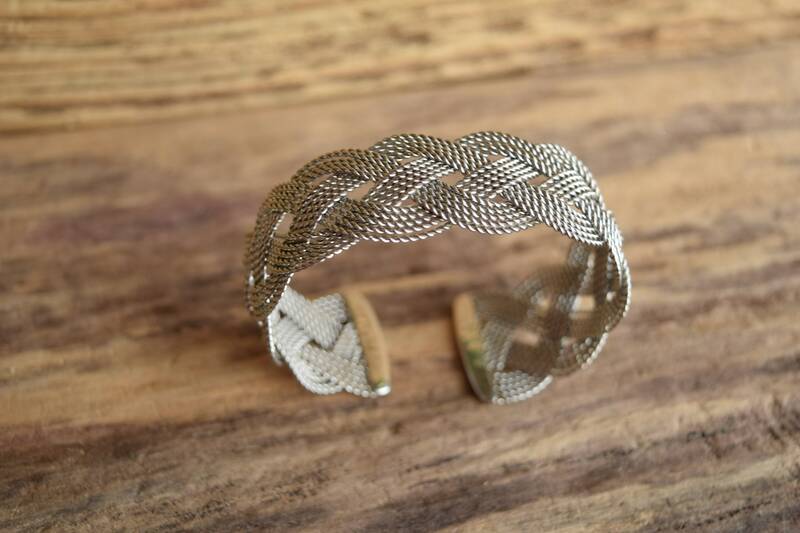 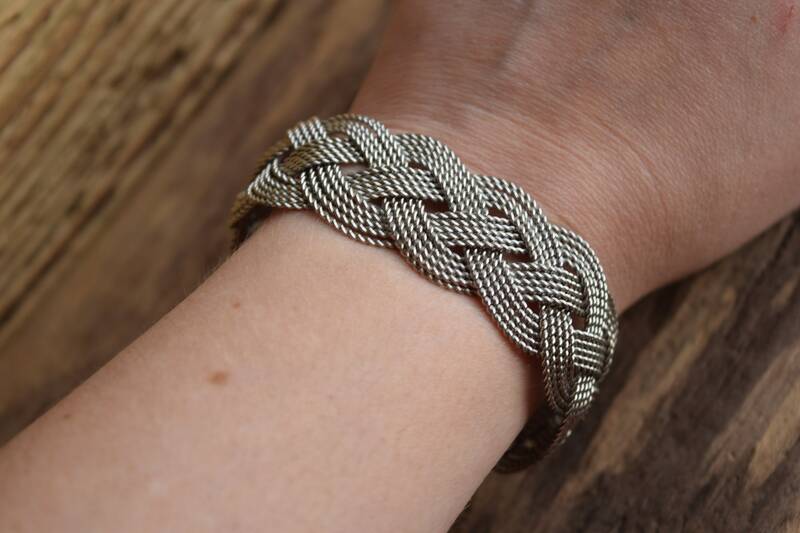 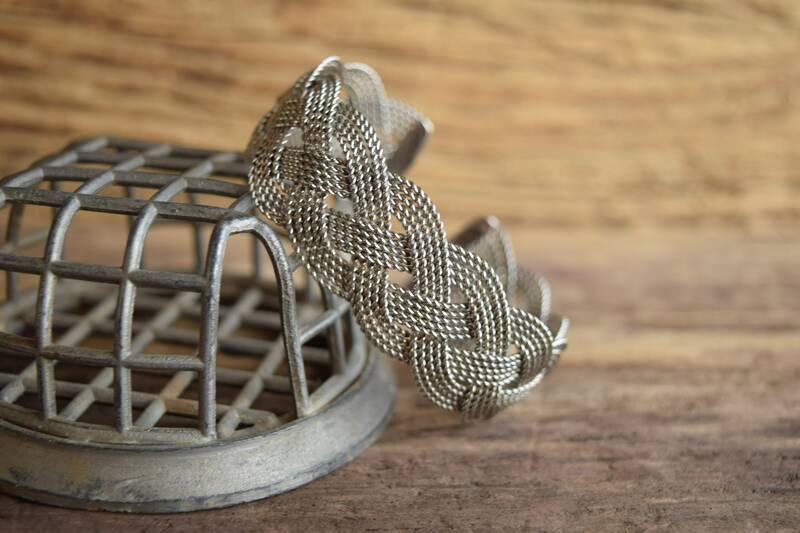 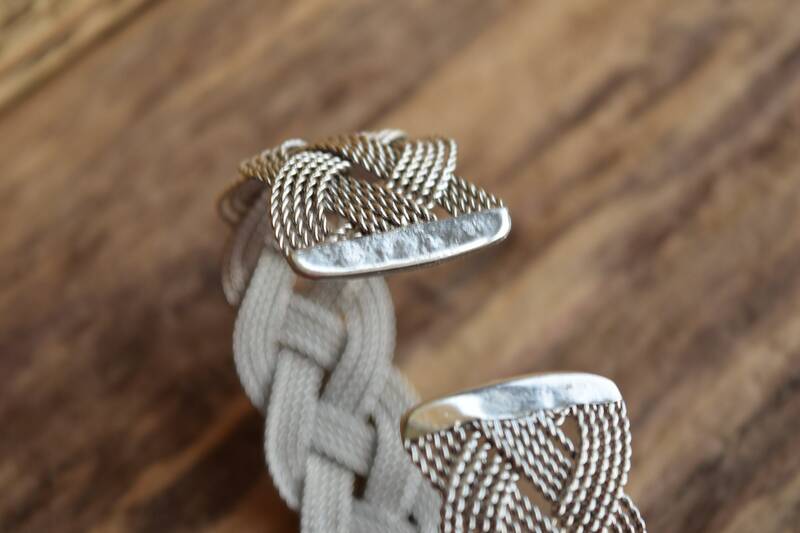 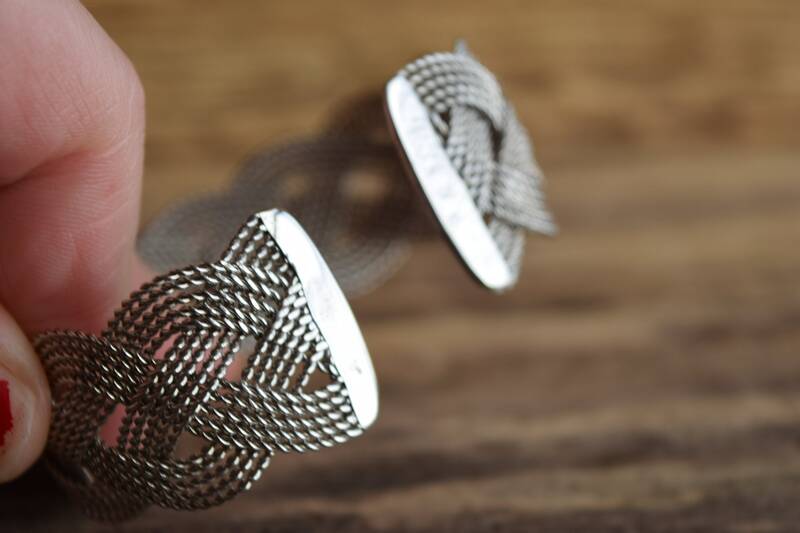 A simple design with a beautiful finish, this braided cuff is perfect for anyone looking to add some style to their arm. 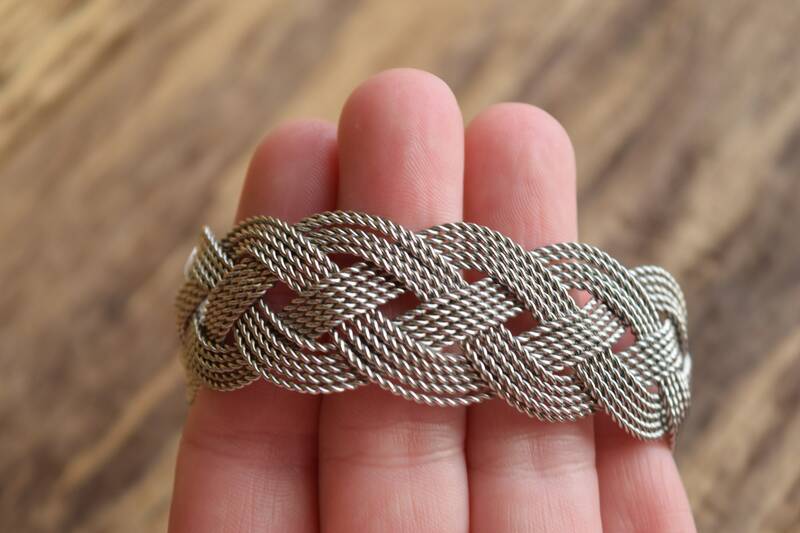 It features three sets of wiring intertwined into a beautiful wide braid. 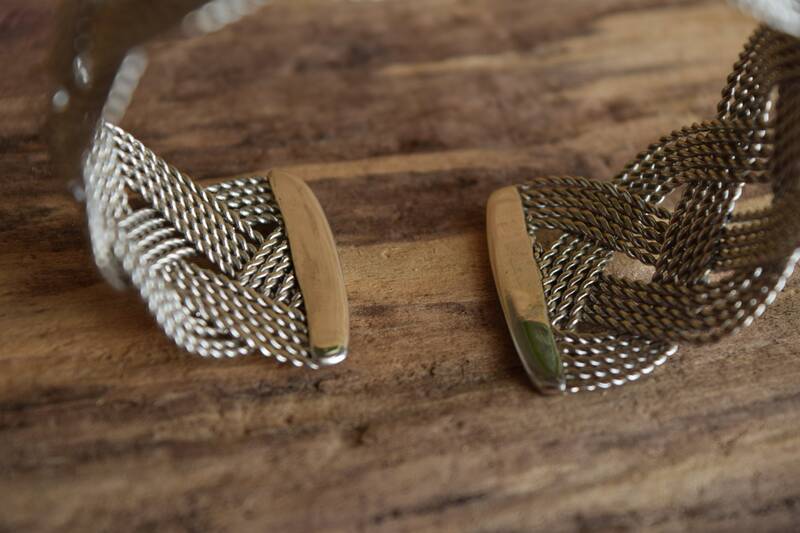 Condition: Good overall condition, some wear to cuff ends but no major damage.